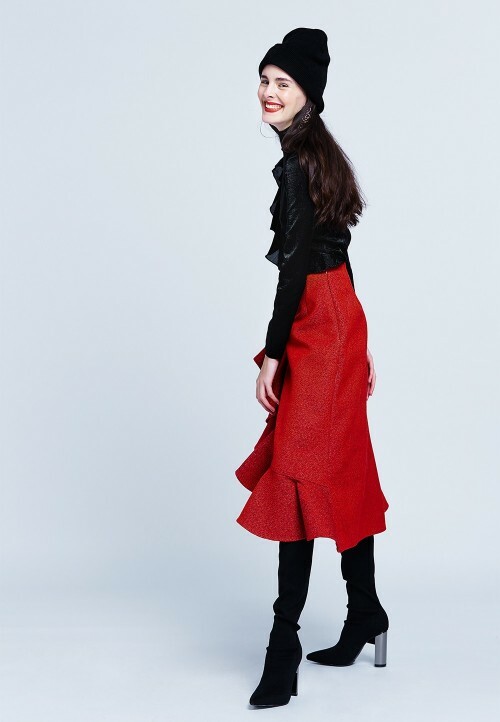 This asymmetric skirt is constructed in one piece and has no waistband. 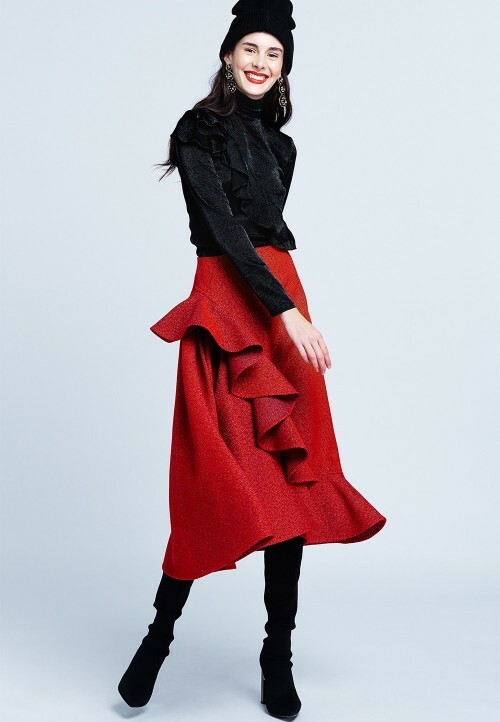 The pleats on the right side create volume that is then added to a frill sewn on the true bias creating a front ruffle of full volume and effect. This lends much refinement to the skirt, particularly when the wearer walks as each step emphasizes the volume of the pleats. This skirt is very easy to wear and match up with other pieces, be it a blouse or a biker jacket. Depending on the fabric chosen, the skirt could look relaxed, rustic even, or extremely chic for a special occasion. Shipping the same day or the day after the order, excluding weekends and holidays. Delivery in France within 2 to 4 working days.